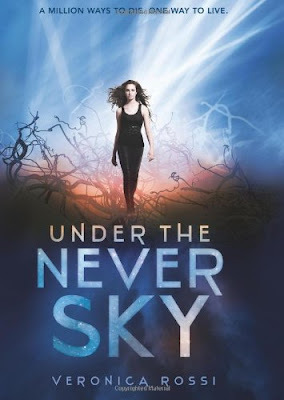 Reader Gut Reaction: The first book in this trilogy, Under the Never Sky, was on my radar since it launched, but I hadn't gotten around to reading it until my library recently dangled a free e-book version of it and its sequel in front of me. Being a dystopia fan, I was intrigued, but to be honest, the jacket copy hadn't really pulled me in before. Fortunately—as all of us writers should know by now—the jacket copy only ever gives you a quick glimpse of a book's true contents, and that was true in this case. Told in alternating points of view, these two books follow the intertwined stories of Aria and Perry. You could call Aria an uptown girl—she lives in the enclosed dome city of Reverie, safe from the harsh outside and its unpredictable storms of energy called Aether. Like the other inside Dwellers, she spends most of her time interacting with her friends inside the virtual Realms, which can send you to any environment imaginable through a piece of biotechnology called a Smarteye. And frankly, the domed cities are big and all, but they're finite, so it's no big surprise people spend most of their time in the Realms. Until Aria is held responsible for a dangerous accident…and then she's booted out, sent into the Outside to fend for herself. I had a few questions about that part of the premise—but I suppose they're questions we're meant to ask, such as: What kind of world would exile a teenager into a hostile, ravaged environment? And if they can do such a thing so readily, is the world inside truly safe? Concerning Character: While we see Aria on a realistic journey from helplessness to self-reliance—making plenty of mistakes along the way, and learning to tap into her still-present human core of curiosity and survival instinct—Perry, aka Peregrine, is the downtown boy to her uptown girl. The humans who have learned to survive and even thrive outside of the domes are, rather literally, a different breed. In fact, some of them have developed heightened senses of sight, hearing, or smell, and Perry's one of those. His special status makes him a valued member of his tribe, the Tides, but he's also in the precarious position of being the younger brother of the tribe's leader, Vale, and he doesn't always see eye to eye with his bro. And when Perry runs into Aria trying to survive in the middle of a wild Aether storm, he knows it's only going to make it harder for him to fit into his own world. Both characters are sympathetic, intriguing, and clearly from different worlds, yet they complement each other; their attraction to one another seems natural, even as their developing friendship goes through rocky patches. And, of course, they're the only ones who can help one another…but can they get past their differences enough to save themselves, let alone the rest of their (respective) people? Recommended for Fans Of...: Dystopian and/or sci-fi series in which environmental and climate change has irrevocably altered the world…fans of the Across the Universe books or Glow by Amy Kathleen Ryan would probably like this one, as would fans of the Carbon Diaries, Matched, Blood Red Road, and the like. Themes & Things: What will happen to us when (note I said WHEN, not if) we start spending more time in virtual reality than in REAL reality? How will it change our humanity, our biology? Conversely, what will happen to those without any contact with technology? These are just a few of the questions posed by the premise of this book. It was the scientific what-ifs that really ended up drawing me in—they're an inextricable part of the story, but they're present without being heavy-handed or overly science-y. Instead, the author successfully shows us what might happen if the worlds of technology and nature were to completely diverge, then collide again, and how we as humans might change in the process. Besides the technological/dystopian angle, though, this book also showcases the resilience and flexibility of the individual. We are left with hopeful faith in the possibility that just a few determined people can change and grow in a way that benefits not only themselves, but might possibly even change the world for the better. Cover Chatter: I like all the weird tangles and energy-storm background swirls, but I don't know who either of those fancy-pants people are. Aria, maybe, I could see, on the cover of the first book, but if that's supposed to be Perry—um, no. 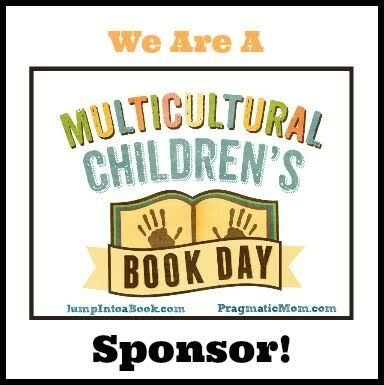 The description in the book created a mental image of long blond dreadlocks, tattoos, and some scary armaments like knives and arrows. I don't see any of those. Still, the covers are eye-catching. 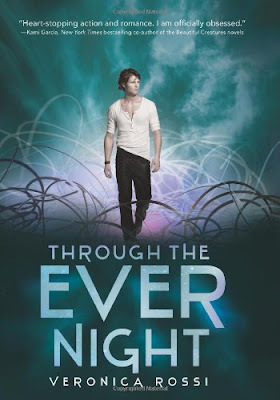 You can find Under the Never Sky and Through the Ever Night by Veronica Rossi online, or at an independent bookstore near you! I'm preeeeeety sure this one was a Cybils nom - the first one, anyway. It was, unfortunately, a victim of the "survival of the fittest" plot memory; it was trampled under by some two hundred or so other books, but I did remember thinking it was a good book that would build in its sequel. There've been a glut of dystopians in recent years; good, because I enjoy them, but not so good, because the standouts need to do more to...stand out.